Our #BareYourSole campaign is back for another year and today is the perfect day to kick it off – the 20th March AKA International Day of Happiness! We would love it if you, our foot-fans, also get involved. 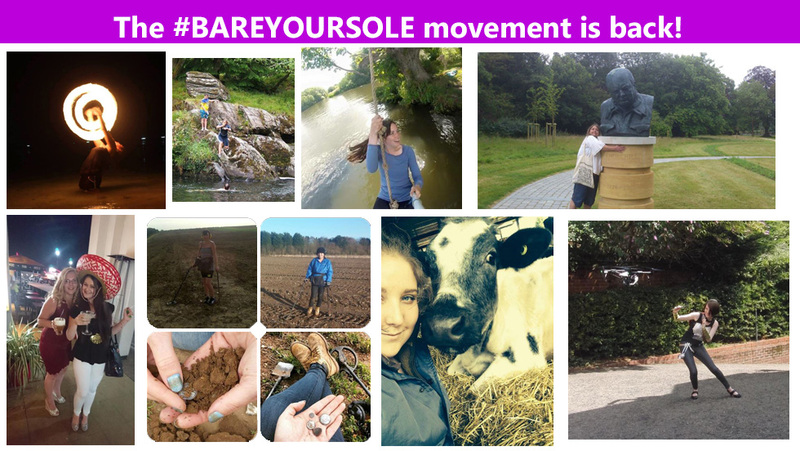 All you have to do is share whatever it is that makes you a little bit unique using the hashtag #BareYourSole. Who knows, it may even make you feel that bit happier… We are certainly feeling good about ourselves!